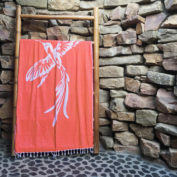 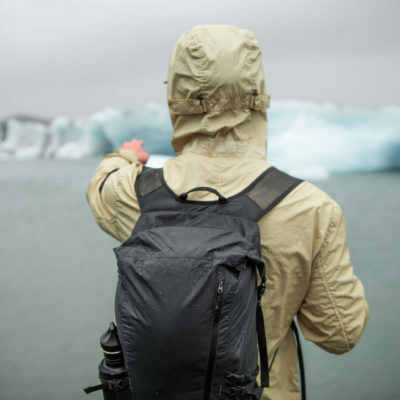 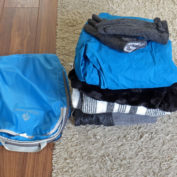 A warm sweater, ski jacket or down jacket, for some colder destinations or trips with varying weather conditions, you need warm clothes that take up a lot of space in your baggage. 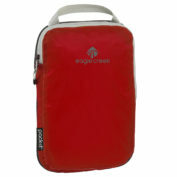 The Eagle Creek compression cubes are perfect for saving that extra space. 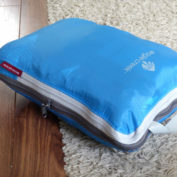 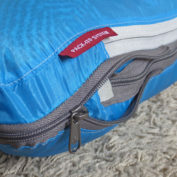 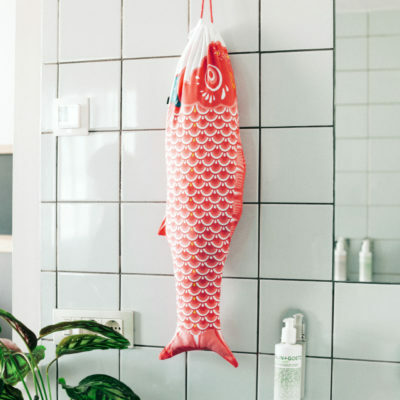 A good addition to the regular packing cubes, especially when it comes to bulky clothes such as that thick sweater or coat. 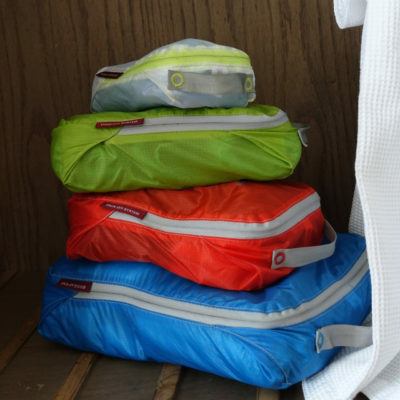 COMPRESSION CUBES OR STANDARD PACKING CUBES? 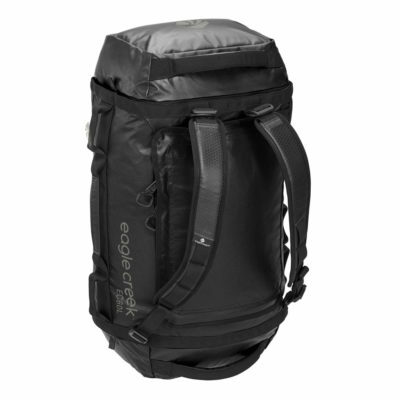 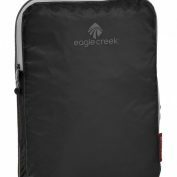 The standard packing cubes by Eagle Creek offer enough compression for clothes such as shirts, tank tops, shorts, jeans and sweater. 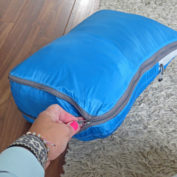 If you pack these tightly by rolling them up, there will hardly be any air left, which means these cubes save space too. 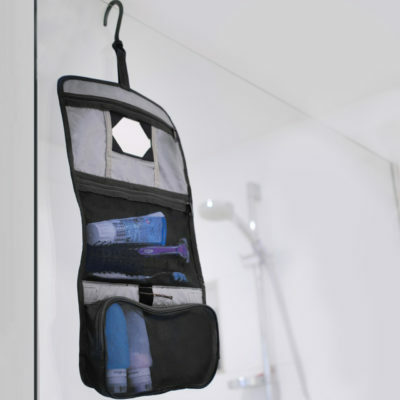 The compression cubes save just that little bit of extra space with clothes that contain a lot of air. 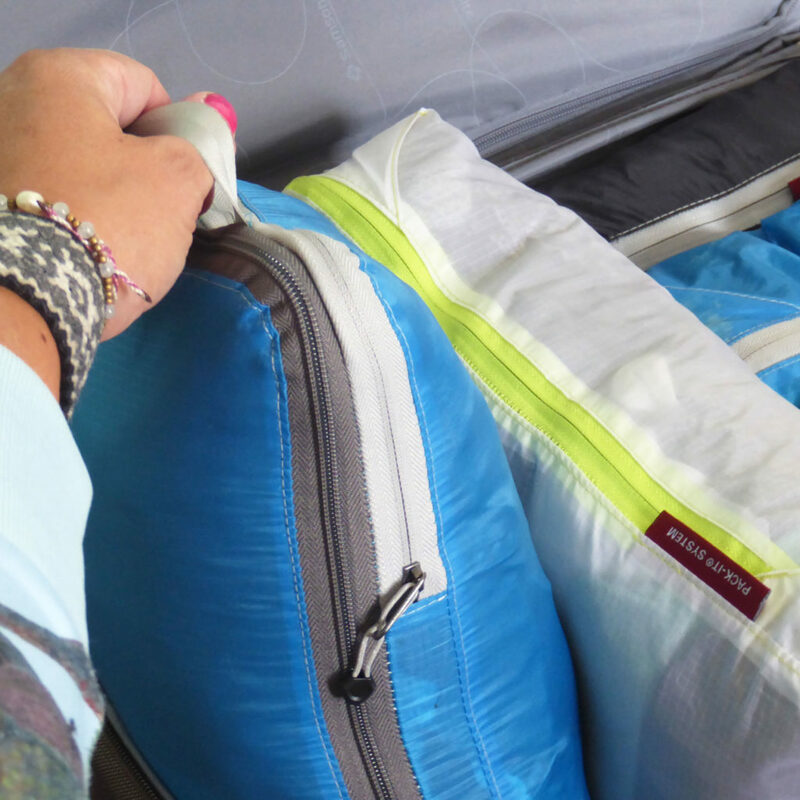 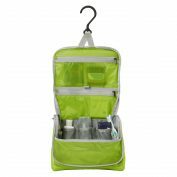 The cube’s double zipper allows you to squeeze out this extra air so you can pack bulky items compactly. 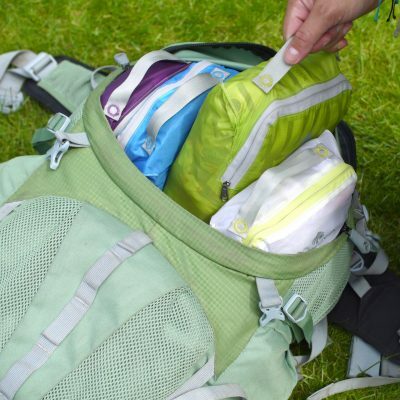 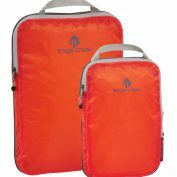 This makes the compression cube an ideal addition to your set of packing cubes. 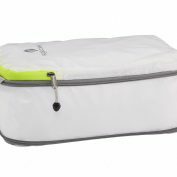 WHAT FITS INTO A COMPRESSION CUBE? 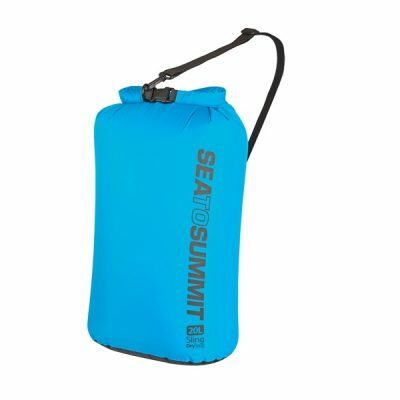 The half-sized compression cube has enough space for a thick sweater or down jacket. 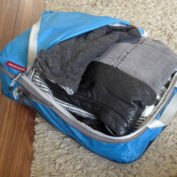 The full compression cube has space for a thick sweater or hoodie, a jacket, scarf and perhaps a pair of long pants. 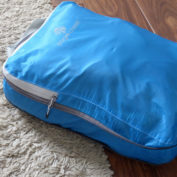 The full cube is also suitable for things such as ski clothing.